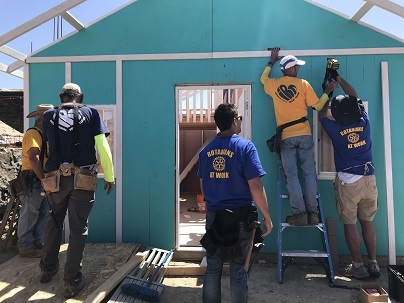 Palmdale Rotarian Tina Borzage recently participated in her third consecutive Rotary Superbuild on June 2, 2018. 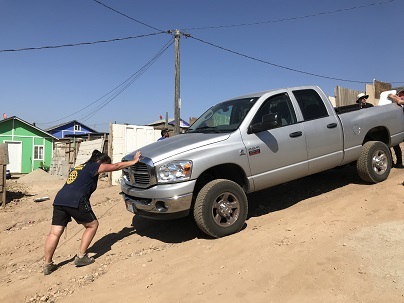 In 2016 and 2017 Tina supported the Superbuild in Corazon. 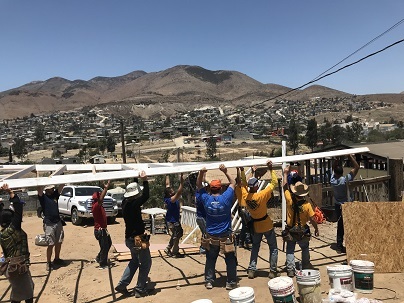 This year, Rotary District 5300 partnered with "Project Mercy", a company that provides housing to needy families all over the world but about twice a year, they build in the East side of Tijuana. 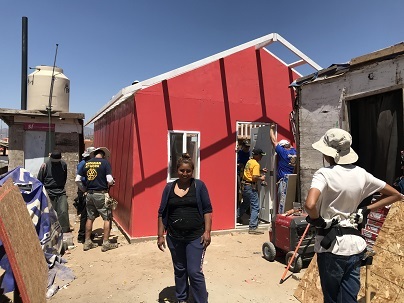 In order for the families to qualify for a home, they have to do community service and help build other homes for other families and when they have contributed a certain numbers of community hours, they go on a waiting list until they get chosen to receive a home. 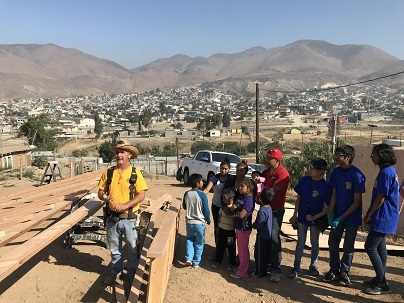 In 2018 District 5300 was able to sponsor two homes, one for a family of 8, mom, dad and 6 children and the other, a family of 4, mom, dad and two children. The cost per home was $6,000.00. 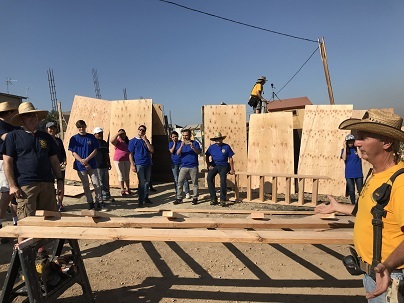 Rotarians from clubs in Las Vegas, Apple Valley, Monrovia, Palmdale, Apple Valley Interact students, an exchange student from Czechoslovakia, and Tijuana Rotary clubs participated in the Superbuild. 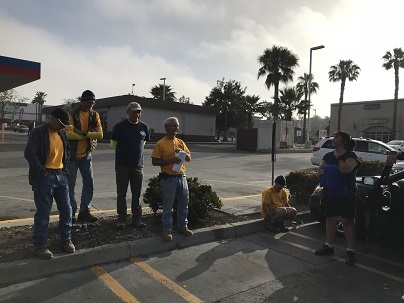 About 40 people total started work about 9:00 AM on Saturday, June 2nd. The workforce was divided in two groups. 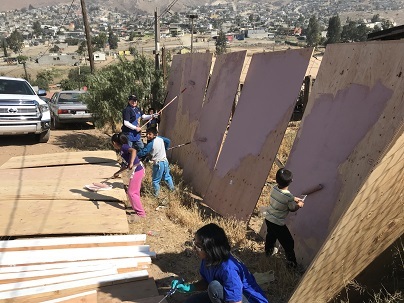 While some worked on framing the sides of the homes and the roofs, others painted all the wall panels. By 12 noon, the walls were up and the roofs were in place. We stopped for lunch at 12. After lunch the workforce continued working on all the detailing and painting the outside of the houses and all the trimming. 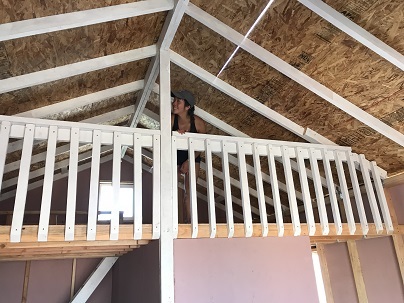 The roofers installed shingles on the homes and completed installation of the windows and front door. 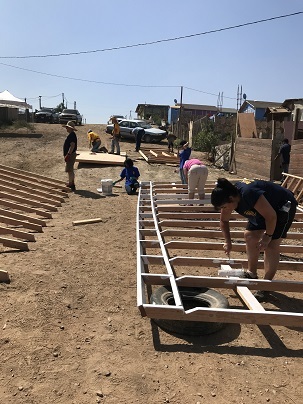 By 3:30 PM, the two homes were finished. 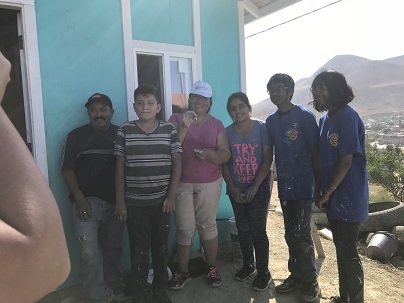 The families received the keys to their new home and many house gifts from the Rotarian workforce. This project was coordinated by Raghada Khoury, our current District Governor who made all the arrangements with our partners at Project Mercy. 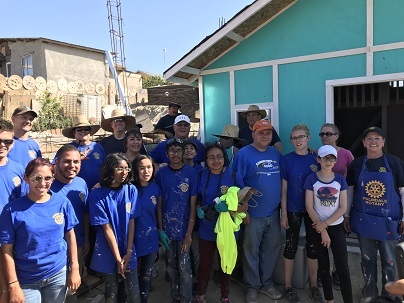 John Chase, our incoming District Governor, his wife and teenage daughter also participated in the Superbuild. John and Raghada appreciated the supplies donated by Granite Construction to help in the assembly of the homes. 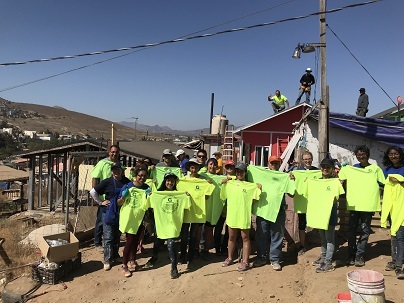 Group pictures were taken of the completed projects as the families prepared to move into their new homes.